05/08/2012 - Henrique Martins clinched his second win in the championship after the one harvested in the first round at Valencia. 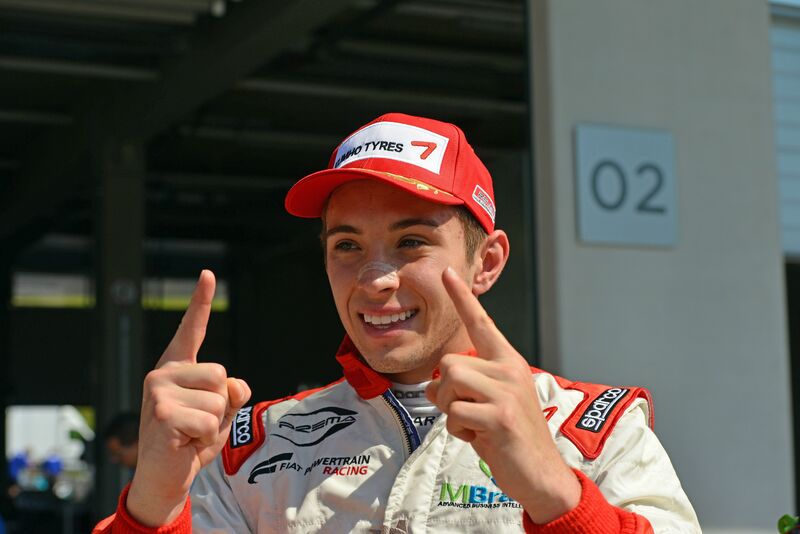 The Brazilian of Prema Powerteam got the most out of the unhappy start of Patric Niederhauser and Kevin Giovesi that occupied the front row and passed both of them with his team mate Brandon Maisano at his side. After getting the lead, Martins increased his advantage lap by lap without giving any chance to his rivals. The French of Ferrari Driver Academy racing with Prema Powerteam ended up delayed by 6 seconds to the leader Martins, but he had as many of advantage to Kevin Giovesi, at his second presence in the championship. The Milanese racing with Ghinzani "won" a very tight battle for the third step of the podium that involved at least 5 drivers. Niederhauser (BVM) first, then Nicholas Latifi and Riccardo Agostini (JD Motorsport), and finally Giovesi (Ghinzani) exchanged position in third fighting a tight battle. Behind Giovesi was Riccardo Agostini, while Sergey Sirotkin (Euronova) ended in fifth position. Sixth was the Romanian Robert Visoiu (Ghinzani), who proceeded Nichoals Latifi (JD Motorsport) author of a very good race. The poleman Patric Niederhauser finished only eighth as he spun during lap six. Mario Marasca (BVM) was ninth and was followd by Yoshitaka Kuroda (Euronova). Eddie Cheever (Prema) went out of the games during lap three as he had the worst of a contact with Sirotkin and could not get back into the track.